High levels of “good” cholesterol and low levels of “bad” cholesterol are correlated with lower levels of the amyloid plaque deposition in the brain that is a hallmark of Alzheimer’s disease, in a pattern that mirrors the relationship between good and bad cholesterol in cardiovascular disease, UC Davis researchers have found. “Our study shows that both higher levels of HDL — good — and lower levels of LDL — bad — cholesterol in the bloodstream are associated with lower levels of amyloid plaque deposits in the brain,” said Bruce Reed, lead study author and associate director of the UC Davis Alzheimer’s Disease Center. 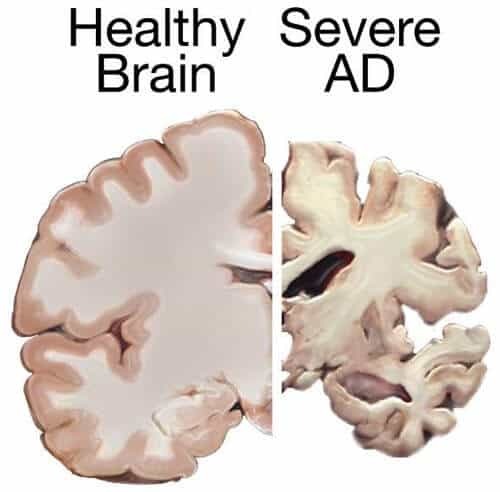 “Unhealthy patterns of cholesterol could be directly causing the higher levels of amyloid known to contribute to Alzheimer’s, in the same way that such patterns promote heart disease,” he said. The relationship between elevated cholesterol and increased risk of Alzheimer’s disease has been known for some time, but the current study is the first to specifically link cholesterol to amyloid deposits in living human study participants, Reed said. The study, “Associations Between Serum Cholesterol Levels and Cerebral Amyloidosis,” is published online today in JAMA Neurology. Charles DeCarli, director of the Alzheimer’s Disease Center and an author of the study, said it is a wake-up call that, just as people can influence their late-life brain health by limiting vascular brain injury through controlling their blood pressure, the same is true of getting a handle on their serum cholesterol levels. The study was conducted in 74 diverse male and female individuals 70 years and older who were recruited from California stroke clinics, support groups, senior facilities and the Alzheimer’s Disease Center. They included three individuals with mild dementia, 33 who were cognitively normal and 38 who had mild cognitive impairment. The participants’ amyloid levels were obtained using a tracer that binds with amyloid plaques and imaging their brains using PET scans. Higher fasting levels of LDL and lower levels of HDL both were associated with greater brain amyloid — a first-time finding linking cholesterol fractions in the blood and amyloid deposition in the brain. The researchers did not study the mechanism for how cholesterol promotes amyloid deposits. Recent guidelines instituted by the American College of Cardiology, the American Heart Association and the National Heart, Lung, and Blood Institute have suggested abandoning guidelines for LDL targets. Reed said that recommendation may be an instance in which the adage that “what’s good for the heart is good for the brain” does not apply. “This study provides a reason to certainly continue cholesterol treatment in people who are developing memory loss, regardless of concerns regarding their cardiovascular health,” said Reed, a professor in the UC Davis Department of Neurology. The study’s other authors are Sylvia Villeneuve and William Jagust of UC Berkeley and Wendy Mack and Helena C. Chui of the University of Southern California. The UC Davis Alzheimer’s Disease Center is one of only 27 research centers designated by the National Institutes of Health’s National Institute on Aging. The center’s goal is to translate research advances into improved diagnosis and treatment for patients while focusing on the long-term goal of finding a way to prevent or cure Alzheimer’s disease. Also funded by the state of California, the center allows researchers to study the effects of the disease on a uniquely diverse population. For more information, visit alzheimer.ucdavis.edu.